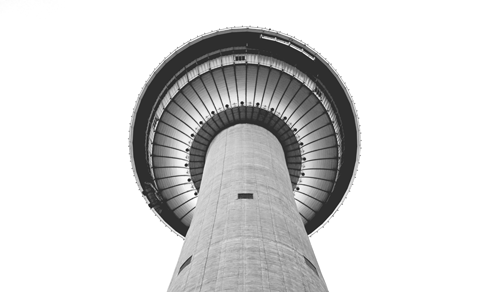 Originally known as the Husky Tower, the 627 foot Calgary Tower in downtown Calgary, Alberta is one of the city's most recognizable landmarks. 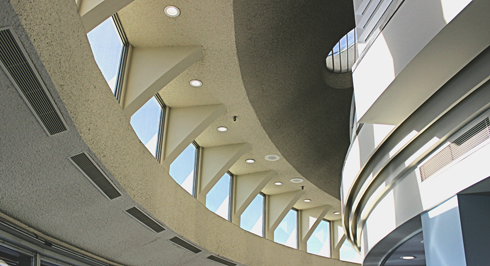 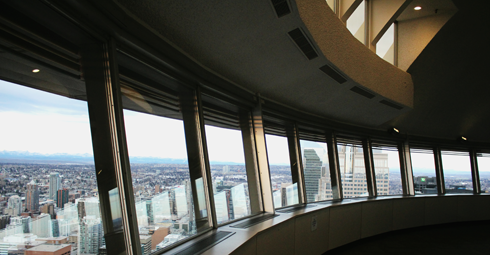 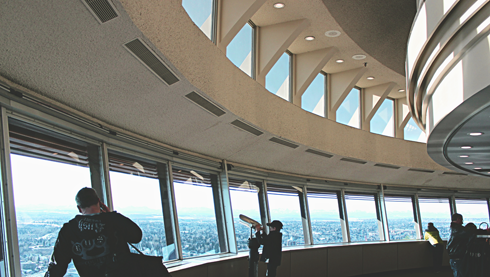 It was built in 1967 to mark Canada's centennial and to drive urban renewal in Calgary's downtown core. 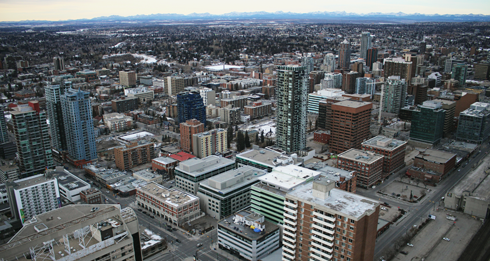 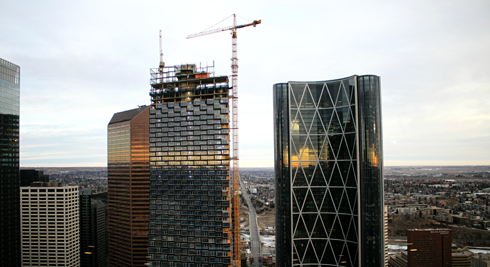 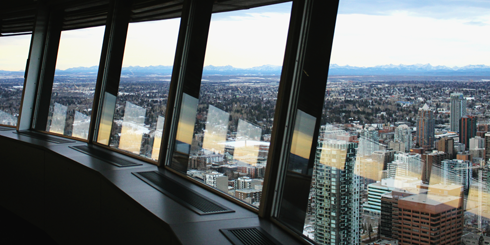 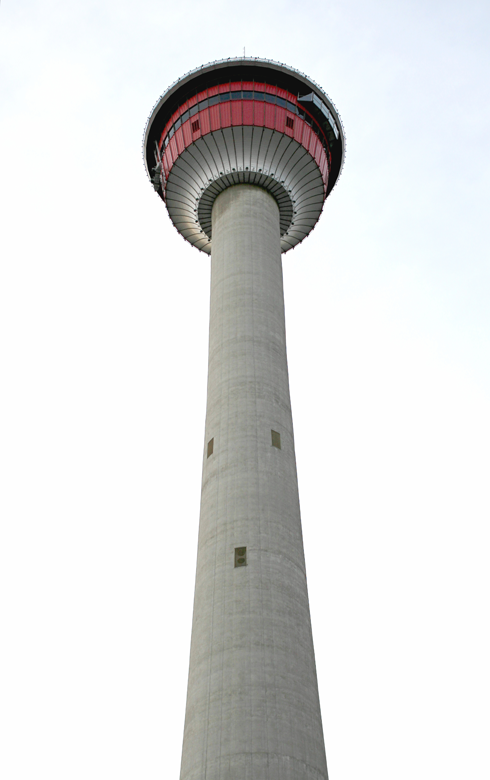 At the time of completion the Husky Tower (renamed the Calgary Tower in 1971) was not only the tallest structure in Calgary, it was also the tallest tower structure of its kind in North America. 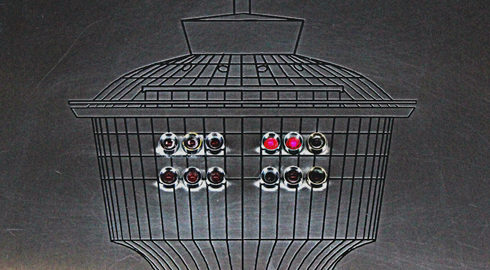 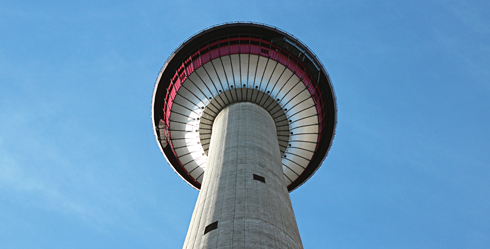 The Calgary Tower also inspired the look of the torch for the 1988 Winter Olympics, and even had a gas-fired cauldron installed on its roof that is still lit for special events. 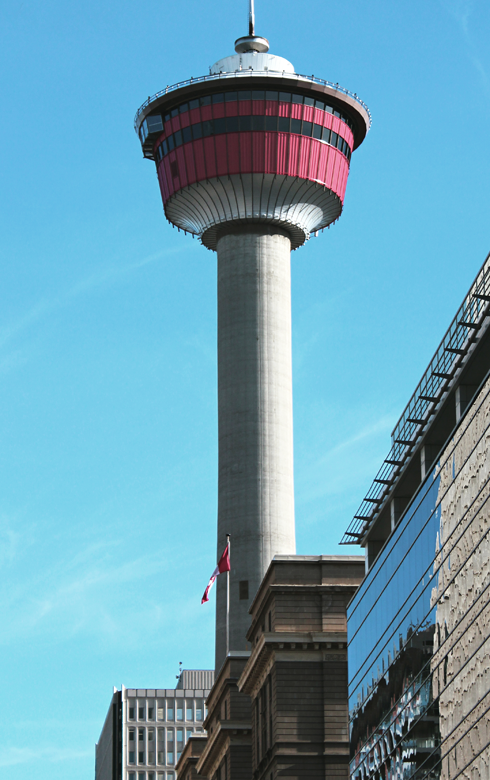 The Calgary Tower has since been surpassed in height by a number of downtown skyscrapers in the city. 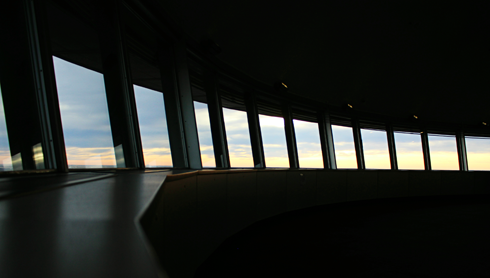 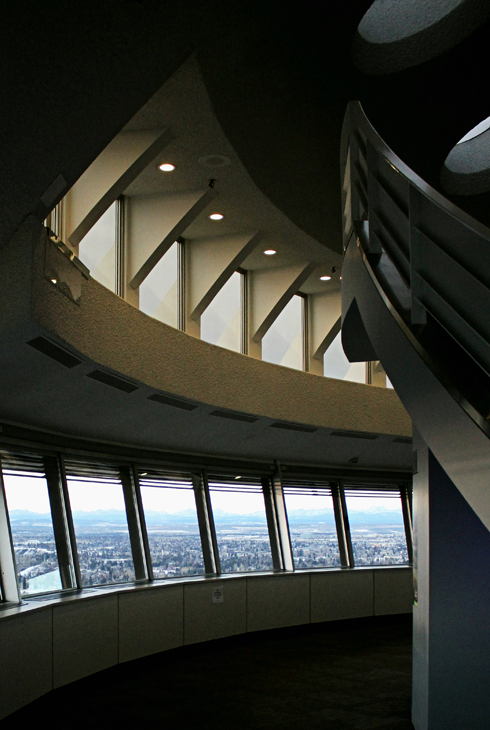 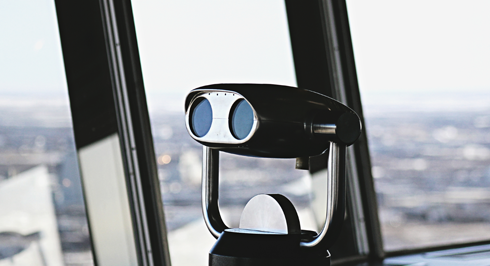 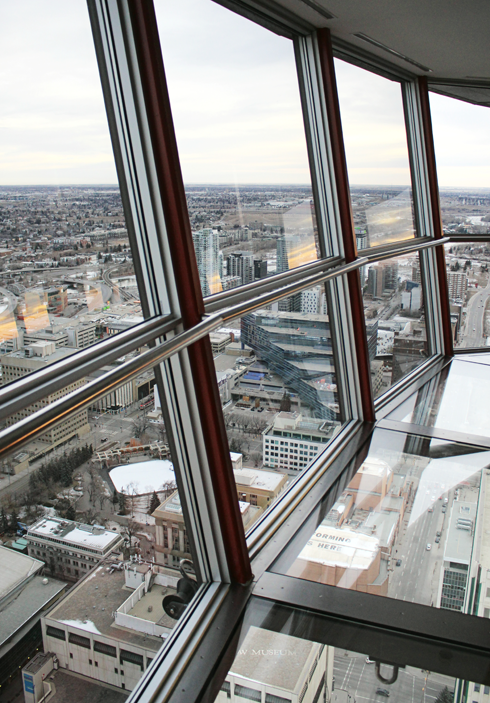 It still has a revolving restaurant at the top, but has also been upgraded over the years and now features a glass floor and an exterior LED lighting system. 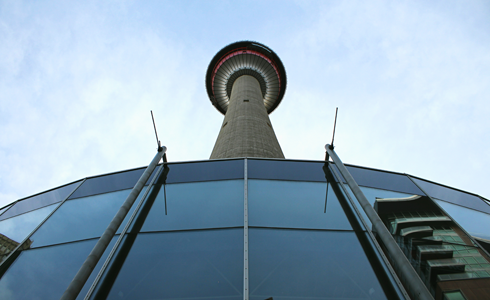 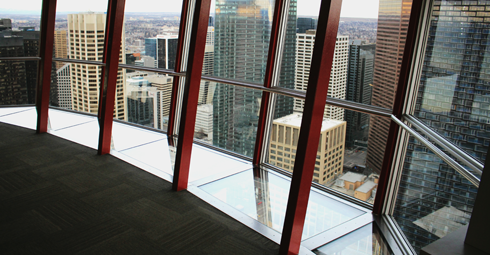 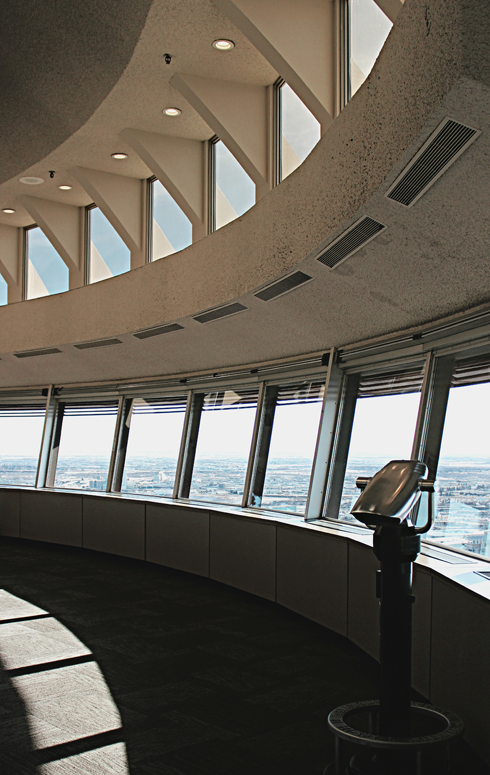 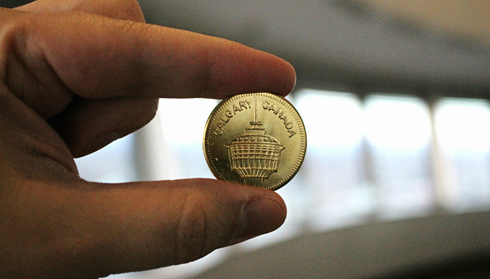 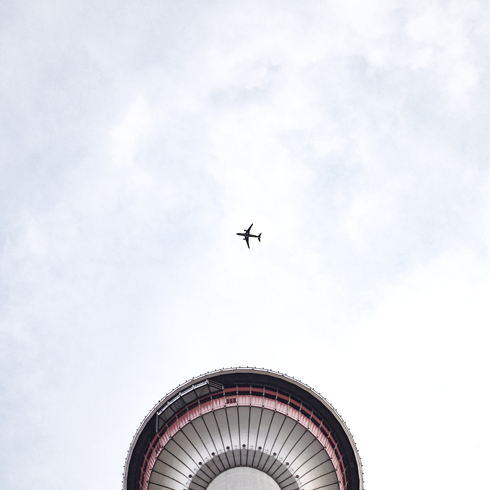 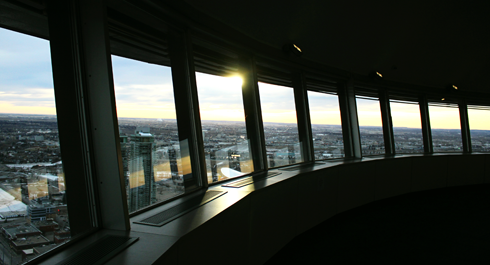 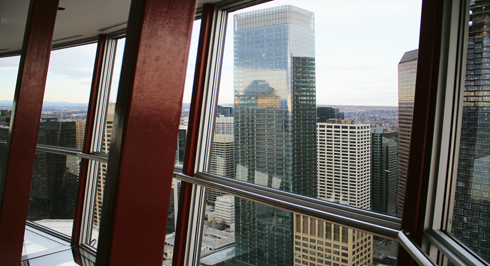 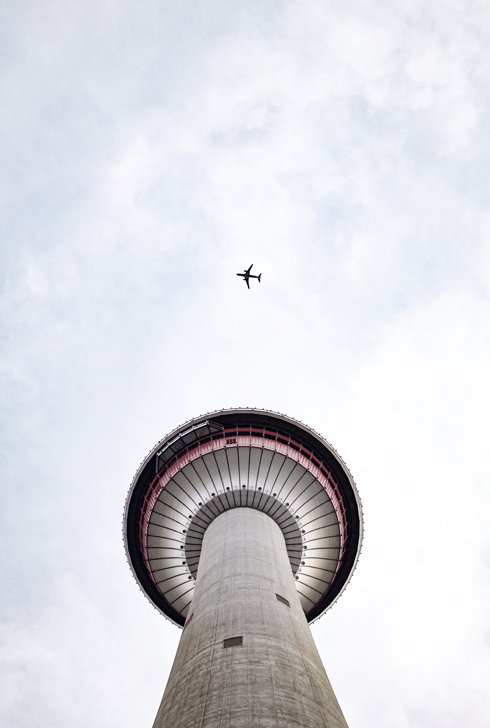 Half a century later, the Calgary Tower remains a true Calgary, Alberta icon. 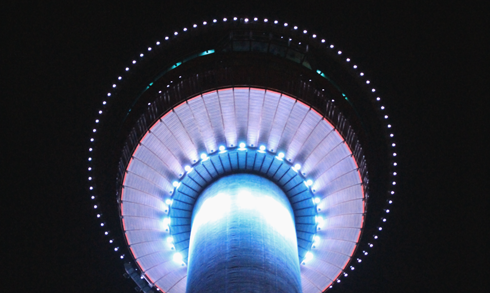 LED lights on the Calgary Tower. 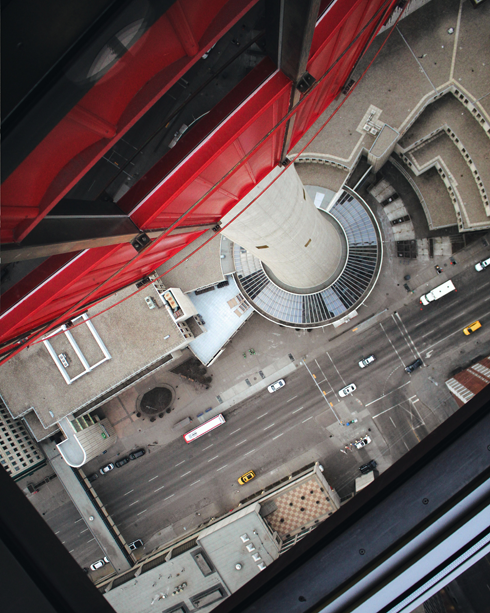 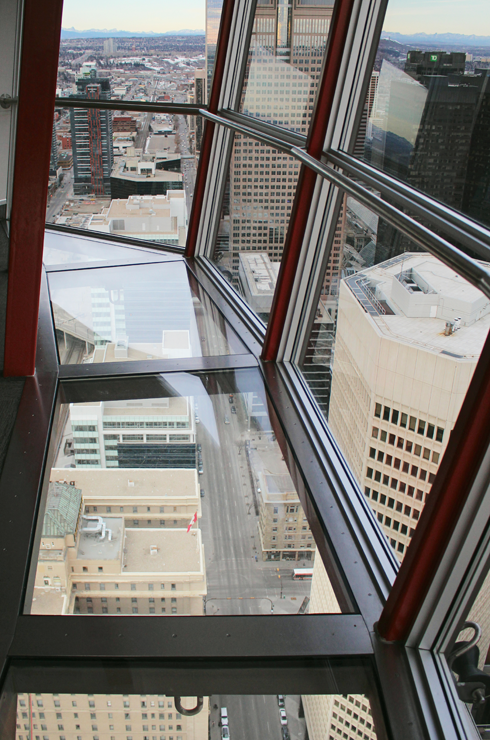 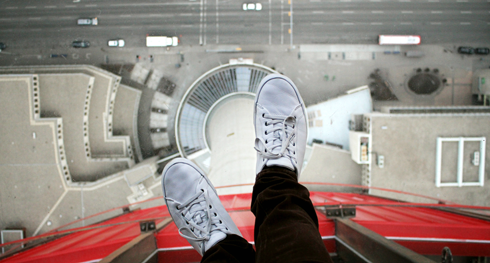 Looking down from the glass floor of the Calgary Tower. 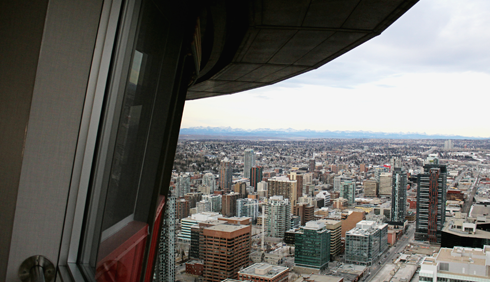 You can see the cauldron on the very top of the Calgary Tower. 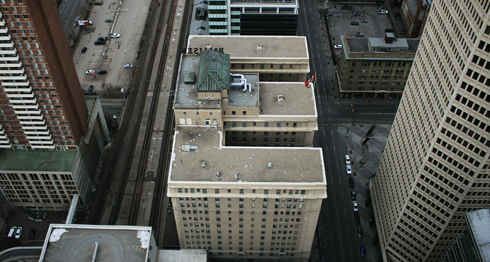 Looking down at the Palliser Hotel in downtown Calgary. 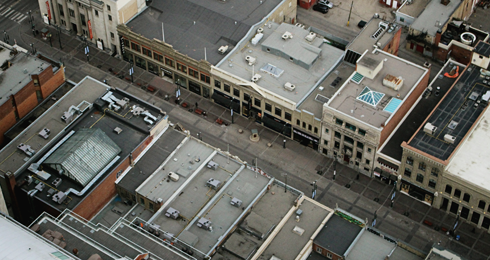 Stephen Avenue in downtown Calgary.